Discover the beautiful Kuan Si Waterfall. See the UNESSCO World Heritage listed streets of Hoi An. Explore and enjoy the beautiful beaches in Nha Trang. Welcome to Vientiane, the capital city of Laos! Upon arrival at the airport, you will be transferred to the hotel. In the evening, visit Wat Sisaket, Wat Simuang and Wat Prakeo. Continue to explore the huge golden That Luang monument, Vientiane’s own Victory Monument, which looks like the Arc de Triumphe. Take an evening flight to Luang Prabang. Arrive at the airport, Far East Vacation’s private transport picks you up to transfer to the hotel for check in. Transfer to the ancient town of Luang Prabang to explore Wat Visoun. Afterward, climb up 350 steps to the top of Phou Sii for enjoying the commanding views of this city. Complete the day by strolling around the town to explore the night market and observe the daily life of locals. Visit the National Museum before enjoying a boat trip on mighty Mekong River to visit the famous & sacred Pak Ou Buddha Caves. Drop by Por Sa Paper Handicraft & textile area at Ban Xang Khong before transferring back to Luang Prabang. After breakfast, take a drive to Tad Kuang Si Waterfall and enjoy magnificent view of the falls cascade over many calcified tiers. Enjoy a picnic lunch and return to the hotel in the evening for relaxing or explore the town on your own. Later on, take a flight to Hanoi. After breakfast, we journey to Halong Bay – one of the New 7 Natural Wonders of the World. Arrive at noon, embark to a traditional style Vietnamese Cruise to visit “Surprising” Grotto – one of the largest grottos in Halong Bay and stop at a clear emerald beach stop where perhaps you may want to take a swim or dip in the water of the Gulf of Tonkin. In the evening enjoy a fresh seafood dinner and some interesting activities on board cruise. Accommodation: Overnight on board Junk.. Simply watch the sunrise over the magnificent bay. Watch for beautiful islands and have brunch before disembarkation for the transfer back to Hanoi. Free at leisure in the evening and overnight at hotel in Hanoi. After breakfast, spend a full day visiting the historical city with many beautiful famous places such as Ho chi Minh’s Mausoleum and his Stilt House, one pillar pagoda and temple of Literature. Continue to visit Vietnam Museum of Ethology and Hoa Lo prison. Complete the day by enjoying a traditional puppet performance before we transfer to Hanoi railway station for night train to Lao Cai. Arrive in Lao Cai, transfer to Sapa for visiting Black H’Mong and Dzay Ethnic Groups. On the way you will have a chance to view beautiful scenery of ladder field and valleys. Explore Bac Ha Fair market (if on Sunday) where you can wander through the district market. 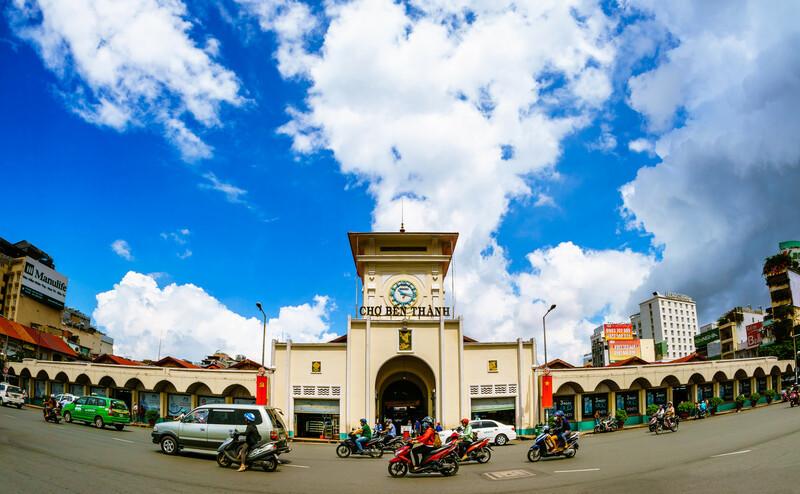 Drive back to Lao Cai town for relaxing or strolling around the town before get on board train for night train back to Hanoi. Arrive in Hanoi railway station in the morning, visit FLOWER NIGHT MARKET before transferring to the airport for flight to Hue. Upon arrival, visit the former imperial city of Hue, the imperial tombs of Tu Duc, the Khai Dinh with a superb location on the slopes of Chau Mountain. Then conclude the tour by taking a half-hour boat ride on the Perfume River to the 7- storey Thien Mu Pagoda and the Tomb of Emperor Minh Mang. This morning, we drive south to Danang through the Hai Van Tunnels and stop over at the Cham Museum. Continue driving to Hoi An, the picturesque riverside town that was one of Southeast Asia’s major international ports from the 17th to the 19th Centuries. This morning, we will visit Hoi An town, recognized by UNESCO as a World Heritage site because of its unusually well-preserved ancient streets and homes. Sites include the Japanese Bridge, the Chinese Temple, and Phung Hung Chinese-trading house. Return to Danang for short flight to Nha Trang in the late evening. Today visit Oceanographic Institute then embark on board junk to discover Mun Island, the beauty of the live coral reefs, sea plants & creatures of Nha Trang Bay. Enjoy your leisurely time and seafood lunch on Con Se Tre Island. Visit Tri Nguyen Aquarium before returning to Nha Trang. Journey to “The City of Eternal Spring” – Dalat. Upon arrival, visit the Cuong Hoan Traditional Silk Centre to learn about this ancient product and see some of the exquisite silks produced here. Then enjoy a relaxing walk through the Dalat Flower Gardens, including the orchid houses. Morning flight to Saigon. 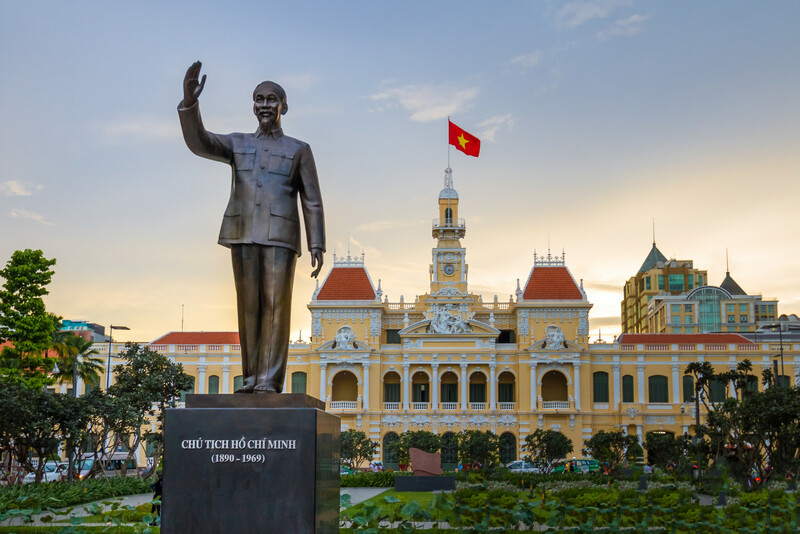 Arrive in Saigon, explore the bustling Saigon with many options such as: Chinatown and French Colonial areas including Notre Dame Cathedral, the Opera House, City Hall, the Central Post Office and the War Remnants Museum. 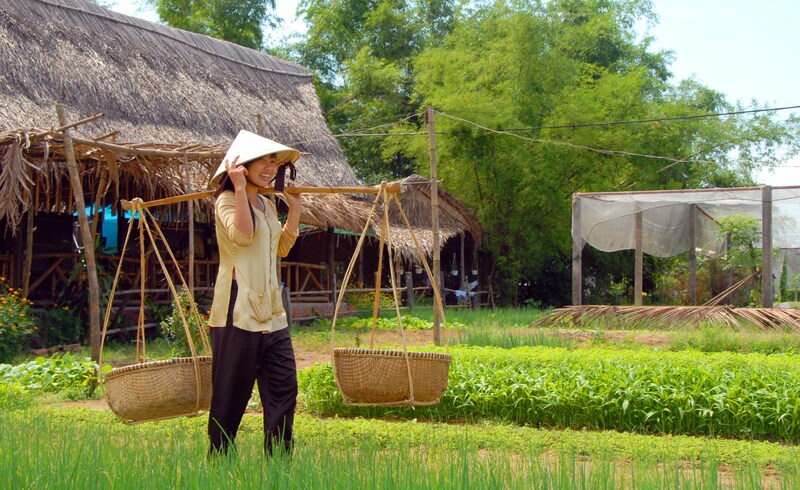 Spend half day visiting the famous Cu Chi tunnels, a Byzantine maze of underground passages, chambers and booby traps used by both the Vietminh and the Viet Cong. Afterward, return to Saigon for an international flight to Siem Reap. Today, take a walk along the Siem Reap Riverside before visiting the Fruit-bat in front of the Residence of King. Explore, the magnificent Angkor Wat in the evening then we will get the blessing ceremony in Wat Bo. Transfer tp Chong Kneas and embark speed boat to Phnompenh. 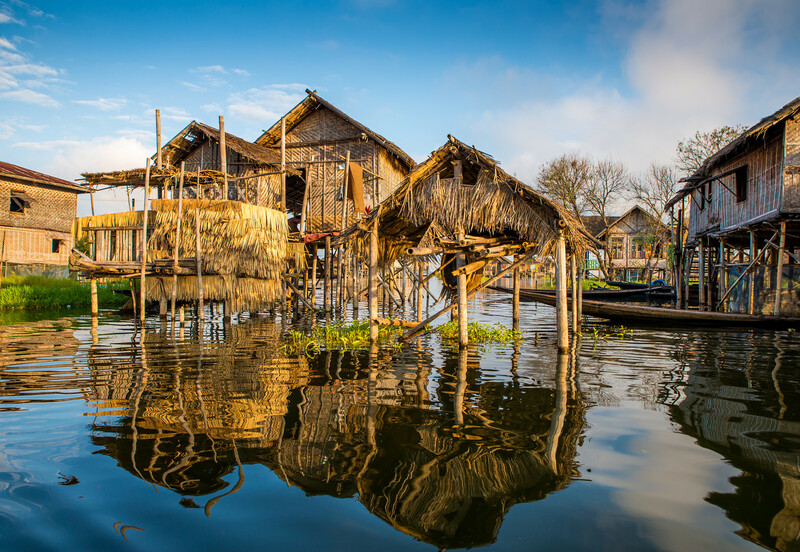 On the way, we will visit floating villages on Tonle Sap Lake. 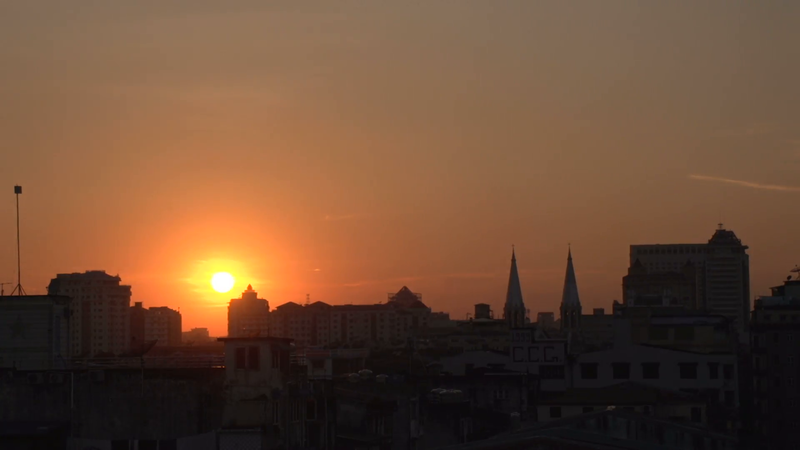 Explore Tuol Sleng Genocide Museum and the notorious Choeung Ek “Killing Fields”. Continue to visit National Museum – an excellent introduction into ancient Khmer art & civilization and the Royal Palace, home to the royal family and the opulent silver pagoda. In the morning transfer to Mekong Islands with is bout 20km from Phnompenh to the north. Then embark boat to Mekong Island by crossing Mekong River. Visit the local life and these villages most of villager are making farm plantation for living and especially is making silk. 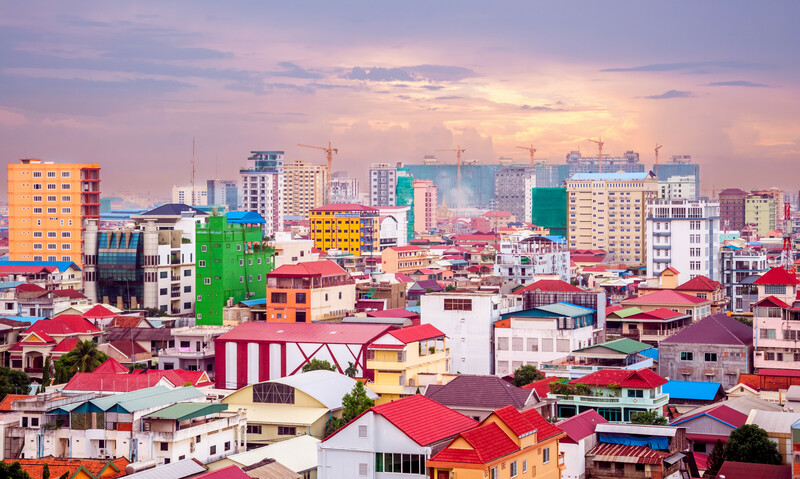 We return to Phnompenh in the afternoon for lunch and free leisure time at hotel to swim in pool before transfer to airport for your onward flight. Board cruise in Pak Ou, Halong Bay, Mekong Delta, Tonle Sap lake. Vietnam Visa Stamp fee (45$ for single entry & 01 passport-sized photo).